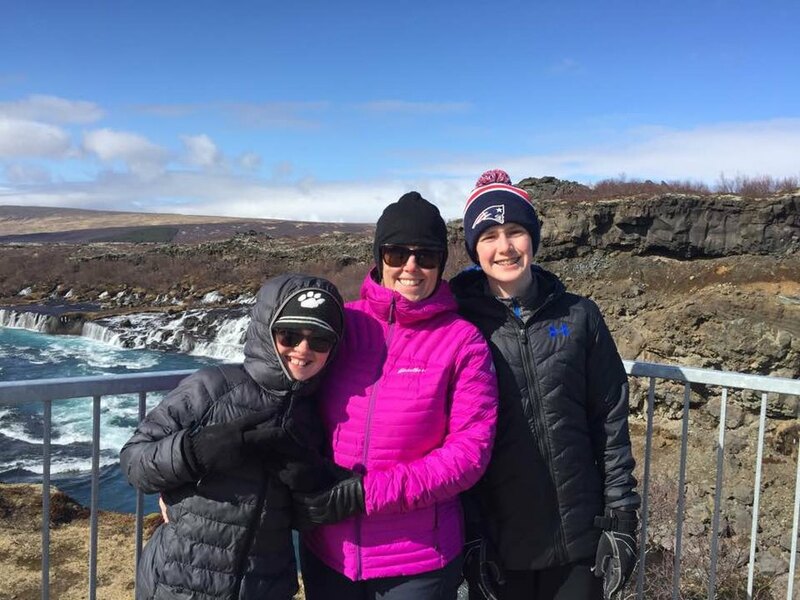 Iceland is a magical place for children - from horseback riding to volcanoes to whale watching, the options for families are endless. 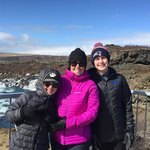 Family travel is easy and safe in Iceland where tour companies welcome children and hotels are family friendly. We've compiled a list of our top year-round activities for families with kids aged 5-16. Tour the Icelandic countryside while riding on an Icelandic horse, a unique breed of horse developed in Iceland. They are small and very calm animals perfect for kids. Cool Travel Iceland offers a 30-minute riding tour for children and inexperienced riders, for 6600 ISK ($53) per person. For families with children aged 12 and above, Icelandic Horse Tours offers longer horseback rides for 14,500 ISK ($115 USD) per person. Iceland has over half the world’s population of these black and white birds that flock to Iceland to breed. You can enjoy a boat tour from Reykjavik harbor to see the puffins in their natural habitat. 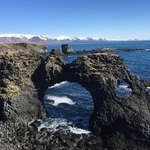 Elding Tours offers a puffin tour multiple times a day from May through August (6000 ISK / $48 USD for adults; 3000 ISK / $25 USD for children 7-15; and free for ages 0-6). With 20 different species, Iceland is one of the best places in Europe to go whale-watching. 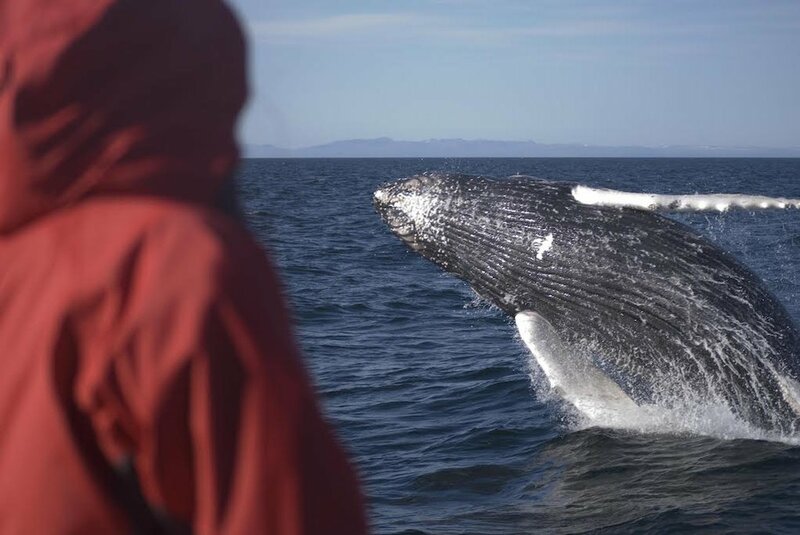 All year round, boat tours offer up-close views of orcas, white-beaked dolphins, humpback whales, harbour porpoises, fin whales and minke whales. The summer is the best time for watching whales when the whales and dolphins are at their most abundant. Elding offers daily, 3-hour whale-watching tours from Reykjavik's harbor (9900 ISK / $90 USD for adults; 4950 ISK / $40 USD for children 7-15; and free for ages 0-6). In Iceland, which can have a layer of ice in places for much of the winter, dog mushing has always been used to travel over the ice, snow, and even dry land. You can experience dog mushing along the south coast of Iceland, which includes a stimulating 45-60-minute ride on a sled pulled by these well-trained Greenland Dogs. The tour company Dog Sledding offers tours and the sleds/carts are driven by professional mushers, giving you time to take in the impressive scenery. Expect to pay 19,900 ISK ($190 USD) for adults and 13,900 ISK ($133 USD) for children ages 6 and up. In Winter the tours are run on snow and ice, and in shoulder seasons they are run on dry land with modified sleds. The best time to see the icy wonderland is between April and October. Glacial boat tours are offered through Reykjavik Excursions. 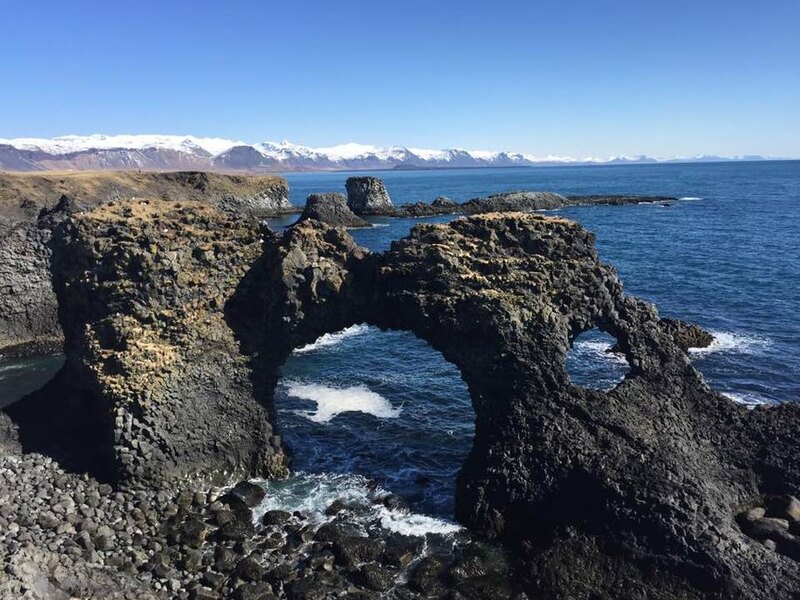 The typical glacial boat tour lasts 14 hours and includes a bus ride from Reykjavik that passes through Skaftafell National Park and Seljalandsfoss waterfall (23,800 ISK / $140 USD for adults; 11,900 ISK / $95 USD for teens 12-15; and free for children 11 and under). Self-driving option: You can drive to Jokulsarlon and hop on to a boat tour with Amphibian Boat Tours (40 minutes / 5000 ISK ($40 USD) for adults, 1500 ISK ($12 USD) for children). There are hundreds of naturally heated pools in Iceland. 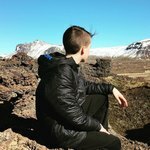 Reykjavik, alone, has 16 pools! The Blue Lagoon, being the most popular, is a few minutes drive from the airport, and 40 minutes from Reykjavik. Normal hours are between 9am-9pm. For bathing etiquette and a list of other thermal baths, check out this article. Bathing suits are required, and you are required to book in advance ($55-$215 USD for adults; $28-$60 USD euros for teens ages 14-15; and free for ages 2-13). A guided 3-hour tour with Cool Travel Iceland offers pick up from Reykjavik at 7:30pm (6400 ISK / $50 USD for adults; 3200 ISK / $25 USD for teens 12-15; and free for 0-11). Expert Tip: Schedule your tour for the beginning of your trip; in case you have poor weather conditions, you can reschedule it for free. Go ice skating and visit Reykjavik’s largest thermal pool at Laugardalur Park. Walk along the main shopping street of Laugavegur in Reykjavik and take in the local culture. Experience the highlights of Iceland and take a tour around the Golden Circle. A popular route in South Iceland circling from Reykjavik into central Iceland and back. 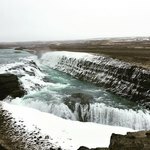 GeoIceland offers a guided tour of the Golden Circle, visiting Thingvellir National Park, Gullfoss waterfall, and the Geysir hot springs. Tour departures are from 9am - 5pm, year-round, and cost 10900 ISK ($90 USD) for adults and half-off for children aged 3-12. There are two popular ski resorts just 25 minutes outside of Reykjavik where you can go skiing with the whole family. Skalafell has 4 lifts and is open from the end of January to April. Pricing does not include rental gear: 1700 ISK ($13 USD) for adults; 600 ISK ($5 USD) for children>. Since Icelanders descended from the Vikings, it makes sense the country offers a chance to be one. A half hour from Keflavik Airport is Hafnarfjörður, where a Viking Village takes you back in time. At Fjörugarðurinn (Viking Restaurant), guests eat historic Viking foods like Icelandic meat soup, Viking seafood (shark, dried haddock, stingray, herring), sheep head with mashed potatoes and beets. Performers dressed as Vikings and Valkyries entertain guests with traditional Icelandic Viking singing and dancing. One of Iceland’s most charming and enduring myths is the belief that elves live in the island’s interior, causing mischief for visitors. 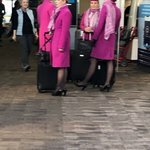 If you want to know more, it’s time to enroll in elf school. The Elfschool, founded 28 years ago in Reykjavik, is led by Headmaster Mr. Magnus Skarphedinsson. He teaches people about the history, folklore, and appearance of Iceland’s many elves, trolls, goblins, gnomes, mountain spirits and dwarves. It would be difficult to point to a favorite activity. Our snorkeling (Andy), kayaking (Reiner) and ATV guides were all terrific. Really friendly and helpful with driving and dinner suggestions. Our hotels were all really nice and well-located. It was nice to have both city and outside of the city accomodations. We loved everything. "Nearly" perfect. Excellent response time with questions and generally a wonderful experience. A few tiny quibbles include a steep, gravel road not being adequately acknowledged in the itinerary, and a couple of aspects that seemed cut and pasted from other itineraries (to other parts of the country) rather than specific to my itinerary. But really, my complaints, a couple of months later, pale in comparison to how great the trips was for my son and me. Preeti was so responsive to every question and concern. It was a pleasure working with her! I was really pleased with the itinerary put together for us. We weren't able to do everything but we did almost everything and found some other interesting additions along the way.